I’ve really bought in to the discipline of maintaining an up-to-date resume at all times, even though my steady tenure at ADTRAN has now eclipsed 6 years with no end in sight. As a professional in the software industry, I have emphasized using technology to make mine stand out. I also stay involved with ADTRAN’s recruiting, interviewing, and hiring so I am in touch with what makes a good resume. People often ask me how I’ve put mine together and how I maintain it, so I thought I would share. As the title of this blog suggests, I’m going to discuss the technologies I’m using, not the content, format, etc. There is ample material out there regarding that, although I plan to one day blog my experiences in that area too. My resume has several tech features, starting by hosting it online with Dropbox. (Click my link to sign up, and we both will get a little extra free storage.) I use a QR Code in the upper-right corner to allow people to open the link to my resume with a smart phone. There are links to printer-friendly DOC and PDF versions of the resume, and a link to my email. To make a resume like mine, start with Google Docs. This is very handy for your resume as you will be able to access it from any computer and download it into HTML, DOC, and PDF formats. Once you’ve named it, go ahead and download your doc as HTML, Word, and PDF. Save them in your Dropbox Public folder (or a subfolder). Unzip the HTML file. Now it’s time to create your QR code. 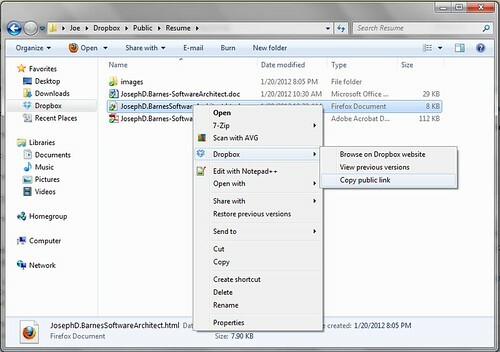 Right-click the extracted .html file and select Dropbox -> Copy Public Link. 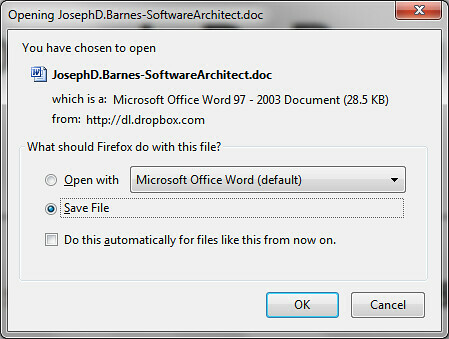 If you really want to, you may use either the .doc or .pdf file for this step. However, I recommend the .html file because I have found that the hyperlinks don’t always work in the other formats when viewing the resume on an iPhone. Go to goo.gl, paste in this link, and click the Shorten button. The link will appear in the history below, where you need to press the Details button. Once your QR code appears in the page that loads, right click and select Copy Image Location. Note: This is what you should select if you are using Mozilla Firefox. Other browsers may not have this option. 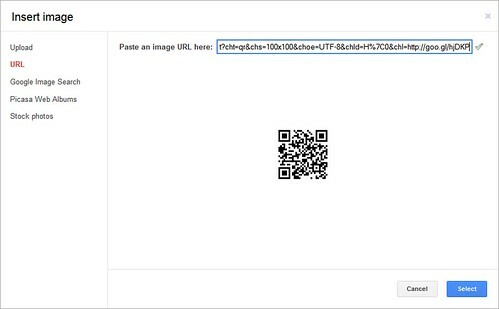 You can now add the QR code image to your Google Doc by navigating to Insert -> Image and selecting URL. Paste the in copied URL. 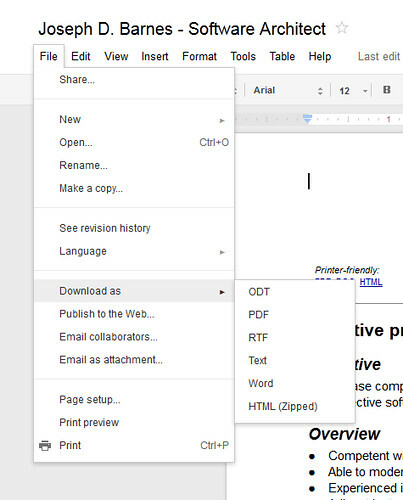 Also create goo.gl links for your .doc and .pdf files. Use these when you add your “Printer Friendly” links. As you probably noticed, goo.gl will track the number of hits your links receive. Use the Insert Link icon or press Ctrl+K to add the links. Another subtlety is in the link I have for my email. Whenever you click my email address, you’ll notice that the subject line is already populated with “Your resume”. I accomplished this by adding this query to the end of the email address in the hyperlink: ?Subject=Your%20Resume You can play with some of the other options for setting up a mailto link. 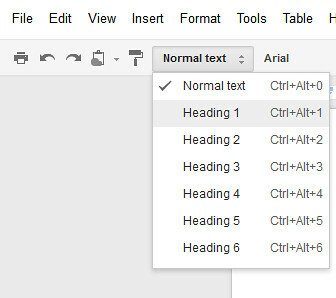 Some Google Docs formatting tips… I recommend using the heading styles to create your headings, rather than simply changing the font. This helps Google Docs take advantage of some of the HTML heading tags to make a better page. Another tip… Use tables to create multiple-column blocks of text. 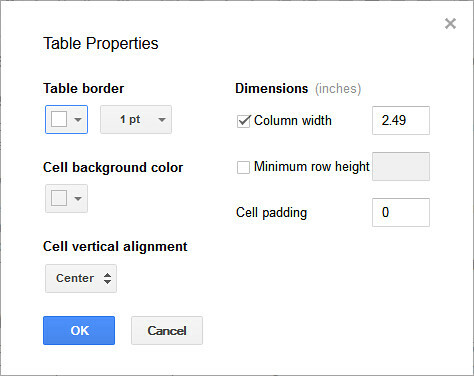 After creating the table and filling in the text, right-click the table and set the Cell padding to zero and the Table border to white to hide the table itself. Note: I have found that the Cell padding has to be set for each individual cell. After you’ve completed your resume, download the latest copies to your public Dropbox directory. Finally, I like to edit the .html header to use my headline “Creative problem solver skilled in software & communication” in place of the my title, “Software Architect”. Once you’ve done this, you are ready to share it with the world! Some last thoughts: Keep in mind that the goo.gl links (and their respective QR codes) are permanently associated with their links, so you cannot change the names of your files and expect the old links to work. This is worth keeping in mind for the QR code, since you would like it to always find your latest resume. Gotta say this is awesome! Very well done. Very well done! I love the ability to scan the bar-code!